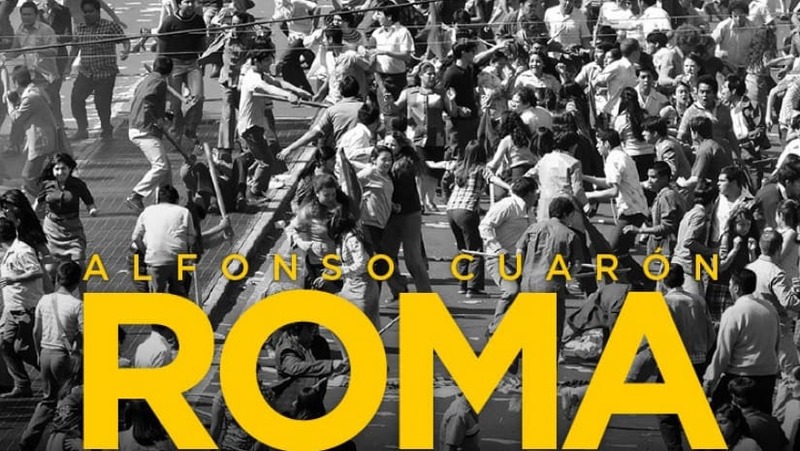 Roma came out on Netflix this weekend and is one of the frontrunners for the Best Picture Oscar this year. It is directed by Alfonso Cuarón, the man who directed Gravity and Children of Men. Yalitza Aparicio is a first time actress and stars as Cleo in Roma. I’ve heard nothing but great things and honestly, the movie frustrated me for the first hour and a half. It was quite slow and not a lot happened. Pretty much all of it is just build up and I can see several viewers clicking off Netflix or being frustrated but if you stick through, the final act is a masterpiece. All the build up has an emotional pay off and several scenes in the final act nearly brought me to tears. All of it kicks off with the shooting scene. After that the movie plays brilliantly. Some of the scenes that stood out to me were the hospital scene and the beach scene. I wish I could get into spoilers but I don’t want to ruin it for anyone who hasn’t seen it. Yalitza Aparicio nailed everything she did. Speaking of Yalitza, wow. When you consider that this is her first performance, it makes her work in this even better. This performance is definitely worthy of an Oscar. Her facial expressions were so subtle but captured all the required emotions. Moreover, her delivery was great, especially the beach scene. Also, I thought the kids put in very realistic performances. They were annoying at points but it was intentional and wasn’t an issue. The writing for the character of Cleo also felt extremely genuine and real. I know that Cuarón was inspired by his life when making Roma and you can feel that due to how realistic it feels. Cuarón also established the atmosphere of Mexico at the time perfectly and it made it feel like I was right there with the characters. In addition to that, the way Cuarón used the camera was fantastic. One of the best uses of this to me was the cinema scene. The camera angle works really well and makes it feel like we are hearing a conversation with two real people play out. Even the rest of the cinematography is brilliant. We all expected longer takes from Cuarón’s movies and they work extremely well in this movie. Like with The Ballad of Buster Scruggs, part of me wishes I saw this in theaters and not on Netflix. But the sound design stood out to me even more. It established the atmosphere of Mexico so well. The blend between the background noises, the score and the dialogue was wonderfully executed. Unfortunately, not a lot of people are talking about the sound design in the film. I worry that because of this the film may not get nominated for an Oscar. Attention to detail in this movie was wonderful. The production design was extremely well thought out and meticulously crafted. Roma is one of the most technically brilliant films I’ve seen this year and all these aspects prove that in my opinion. Overall, Roma was a fantastic and moving experience despite having a poorly paced first half. But, all the build up had an emotionally satisfying pay-off which is what makes it one of the best films of the year. i will flex on you with the greatest inverse dab you have ever seen. I will pingspoof your domain until nothing but idots remain. I AM THE GREATEST DDOSER OF ALL TIME. you will perish before me…. ps. i will install a virus in your server so that everyone who logs in, will be forced to subscribe to pewdiepie.